Happy Hump Day! I'm switching things up a bit on Wednesdays on the blog for the next couple of weeks. I'm officially migrating from good ole Gramercy to the Upper East Side by the end of August so I want to share some of my new room inspiration with you guys! I'm super excited about this move because I'll get a bigger room (with a closet!!!!) and it's a bigger apartment and it's a new neighborhood to explore! It's a lot of change all at once but I'm trying to embrace it and I figured this would help. Stay tuned because I'll be rounding up some furniture and décor ideas over the next couple of weeks. Love the wall color in the first picture! 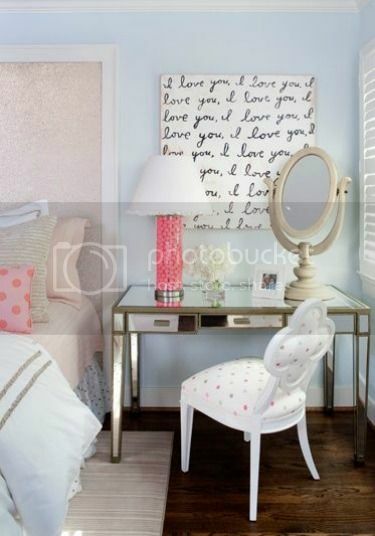 My boyfriend just moved in recently, so redecorating the bedrooms is kind of a must. For your space I love love LOVE the idea of a desk as a bedside table. It would be so functional, and so pretty! 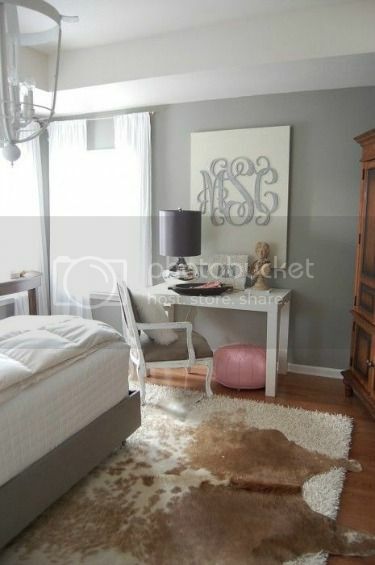 I have that giant monogram.. its amazing. you need one.